e Storm | Code Red Surface Adjustments. Figured this applies to the Hy-Road too. Thanks for the vid! A good analysis!! Saw the same video. Went 500 one way and 1000 the other on my 'Hy-Road' for 20 seconds. Shot 938 for 4 this morning in practice. My Hy-road moves as much as my locks now :-) Not bad for $80 drilled. Followed up the 938 with 1004 in league yesterday. I usually don't mess with surface that much, but this Hy-Road has really strengthened by roughing it up a little. At my age it's nice to bowl in a 'slot'. Last week we had a fella shoot 259, 300, 226, 267 = 1052 for 4. Nice bowling Boat. Dropping my Hy-Road to 500-2000. It just did not have a ball motion I desired with our shot. My Particle NS sheen surface was much better choice this week. Sorry to hear that you didn't care much for Reacta Shine. I haven't tried other factory polishes like from Brunswick or Ebonite, but I've used Clean n'Sheen from Ebonite and it's similar. Dip,for a polish it does the job. It's just not the surface for my Hy-Road with the house pattern that I am bowling on. I did use it to get a close resemblance to the original OOB Sheen finish for my L/M particle balls(800 grit grey scotch brite pad, reacta shine, another light hit with gray pad) to produce a hazing sheen effect. I may try this on my Hy-Road if the 500-2000 doesn't give me the desired affect next week. I bought a 32 Ounce bottle of reacta Shine so it will be my Polish of choice for awhile. Whenever a person roughs up a reactive ball, they'll create more 'friction' which will reduce RPM's and ball speed at the pins. We have a relatively oily shot, so I don't lose too much. In the 'Storm' video where they demo doing this to a 'Code Red' which has the same surface as a Hy-Road, the person in the video also began to lose ball strength with grits under 2000. I decided to start at the bottom and work up. For my last three 4 game sets, I've shot 936, 1004, 938. In the last set, I changed to a polished Ebonite 'Cyclone' because the lanes broke down. Lower grits cause my ball to soak up more oil quicker, So I may be wearing down my shot quicker. I've been working at projecting instead of lifting. Combined with the rough surface, I get a really nice roll into the pocket. I seem to carry everything. If I don't stay under the ball and lose too much axis rotation, it becomes a powder-puff. I had an opportunity to use the spinner at an old Pro Shop. I would change the surface in mid game when practicing. It helped because it was so close. then I'd change again if I wanted. I remember changing a ball surface 3 X in a game, to get my desired result. 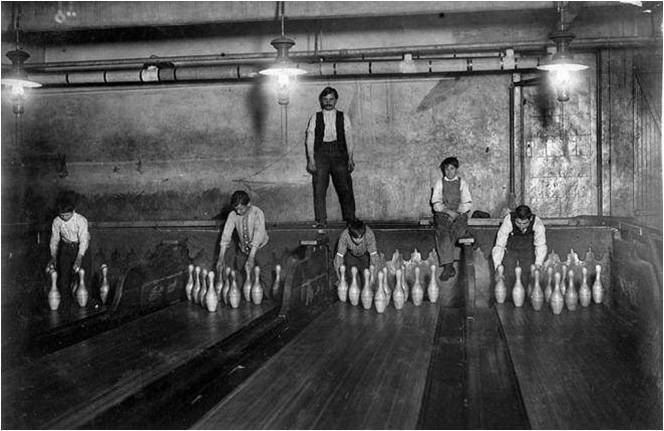 then in league, the lanes were different and it didn't work. I would mostly change to get more length. don't use polishes much. But used higher grit. That's when I realized saiar pads were different from wet sand paper. Got so confused between the two. Now stick only with wet sanding, to be consistent. I use Abralon pads and keep them and the ball wet. Never go for more than 20 seconds. CG, flip, serial number, rotate 90, 'Name', flip, 'brand'. Creates a nice crisscross pattern. Sometimes the surface makes the ball unplayable. Then I go up 1000 at a time until it is. For dry lanes, I'll go 3000, 4000, 5000 and then Extender polish. The key is to make certain the ball begins its roll at the right point. If it rolls too early, I go up another 1000. If it rolls to late, down 1000. The only real problem I have, sometimes the ball motion looks really sweet, but the carry isn't. If the surface removes too many RPM's and burns up just before contact, I'll leave flat 10's all day.